Our goal is to enable you to find emotional balance and inner peace through Buddhism in order to effectively benefit yourself, others and your environment. Our intention is to empower people to be on their own spiritual path! All spiritual paths are valuable, and although we embrace the daily practice of Dharma rituals and meditations as profound tools, it is not required of those simply working towards a higher path. We support environmental sustainable practices to set an ecological example, like organic farming, recycling, etc. The Kauai Dharma Center is a non-profit church organization supported by tax deductible donations allowed by law. The Kauai Dharma Center “Kagyu Thubten Choling” was founded by Lama Karma Rinchen and Lama Tashi in 1990 and has been operated by resident Lama Tashi Dundrup since 1991. Lama Tashi was born in the US and raised partially by the American Indians. In 1977 Lama Tashi met the venerable Lama Kalu Rinpoche where he was introduced to Vajrayana Buddhism. A few months later he met Lama Rinchen and became his student. From 1986-1989 Lama Tashi participated in his 40 month retreat, which he finished as a Lama. Some of his teachers are: Kalu Rinpoche, the 16th Karmapa, His Holiness the Dalai Lama, Lama Rinchen, Lama Tenzin, Tai Situ Rinpoche, Lama Lodron and Lama Tsangtsing. In 1990 Lama Tashi began teaching Vajrayana Buddhism on Kauai and and he and Lama Rinchen founded the Kagyu Thubten Choling Center in 1991. 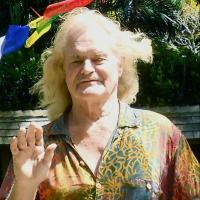 He continues to teach formal classes weekly, offering monthly retreats, and skypes teachings to his other centers on the Big Island and in Vancouver, as well as to students all over the world. His presentation of the Dharma is more relaxed and informal than you will find at most Vajrayana Centers. Lama Karma Rinchen was born in 1931 in Eastern Tibet. At the age of eleven he entered Palpung Monastery. At nineteen he moved to Tsurphu monastery, near Lhasa , the seat of the H.H. 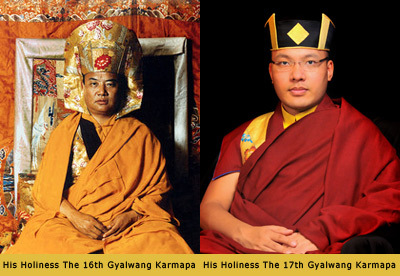 The Karmapa, the lineage head of the Karma Kagyu. In 1959 he fled Tibet to India where he studied with Kalu Rinpoche. From 1961-64 he was one of the East Tibetan representatives for the Tibet-Government-In-Exile in Dharamsala of his Holiness, The Dalai Lama. Then in 1977 H.H. 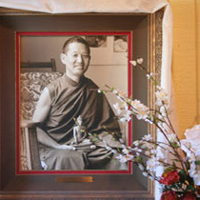 Kalu Rinpoche assigned Lama Rinchen to become the Resident Lama of the Hawaii Dharma Centers. From then until 1982, he was in charge of the Honolulu and Maui Centers . 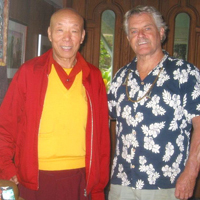 In 1992, Lama Rinchen founded the Kauai Dharma Center, which he currently directs along with the one in Honolulu. As a young monk, Lama Tenzin studied in the Gelupa tradition in the great Tashi Lhunpo Monastery in Tibet . He met Kalu Rinpoche in India , and as his disciple trained in the Karma Kagyu and Shangpa Kagyu traditions. Appointed by Kalu Rinpoche to come to Maui in 1982, Lama Tenzin was among the first generation of teachers challenged with the awesome responsibility of establishing Tibetan Buddhism in the West. His message to practice virtue and help others was clear. His life was a pure example of what can be accomplished through spiritual practice in everyday life. The Very Venerable Kalu Rinpoche was an extraordinary teacher of our time. 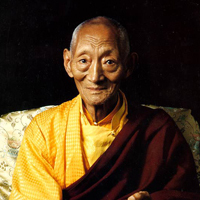 He was a lineage teacher in the Karma Kagyu and Shangpa Kagyu traditions. His fame as a wisdom teacher spread far and wide. Learned Lamas and disciples all over the world were immediately attracted to him. His ability to teach Buddhism to Westerners is legendary. Because of this, he was able to inspire and benefit many beings by opening nearly one hundred dharma centers around the world. Along with the many dharma centers that he established, Kalu Rinpoche also opened numerous Three-Year Retreat Centers, built monasteries, stupas and authored many dharma books before passing away at his monastery in Darjeeling at the age of 85. 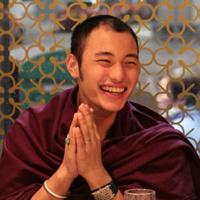 His reincarnation, Yangsi Rinpoche, was born in the fall of 1990 and resides in Darjeeling, India. In answer to many prayers, the rebirth of The Lord of Refuge, Kyabje Kalu Rinpoche was born on September 17, 1990 to his close attendant and nephew during his former life, Lama Gyaltsen, and his wife Kalzang Drolkar. Shortly after his birth, Tai Situ Rinpoche saw convincing signs that this child was indeed the supreme reincarnation of the previous Kyab-je Kalu Rinpoche. His Holiness the Dalai Lama was then consulted and confirmed that the child, then one and a half years old, was surely and unmistakably the reincarnation of Kalu Rinpoche. Kalu Rinpoche’s re-incarnation Yangsi Rinpoche was born in the fall of 1990. At the age of two, Yangsi Kalu Rinpoche began world-wide visits to the Buddhist meditation centers founded by his previous incarnation. Yangsi Kalu Rinpoche visited the Kagyu Thubten Choling Center on Kauai and Karma Rimay O Sal Ling on Maui in the fall of 1995. The young Rinpoche now lives and studies in Mirik, India , at the monastery of Kalu Rinpoche’s main disciple, the Venerable Bokar Rinpoche. His Holiness the 16th Karmapa, Rangjung Rigpe Dorje (August 14, 1924–November 5, 1981) was spiritual leader of the Karma Kagyu lineage of Tibetan Buddhism. He was born in Denkhok in the Dergé district of Kham (Eastern Tibet), near the Yangtze River. He was one of Lama Tashi’s direct teachers. His Holiness the 17th Karmapa, Ogyen Trinley Dorje, was born in 1985 in Tibet. He was discovered in 1988, at the age of three. He and his family were brought to his original Monastery Tsurpu, 60 miles North of Lhasa, where he was enthroned. He had the monastery rebuilt and at age twelve he fled to India, where he now resides in Darmasala, on the Dalai Lama’s Estate. He is recognized as the Lineage Holder of the Dagpo Kagyu tradition, and is currently the Spiritual Head of all twelve Kagyu Traditions in Tibet. 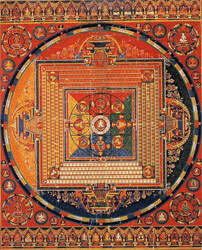 His seat in the West is at his monastery and dharma center in Woodstock New York.